If your company is in one of the following professional fields such as real estate agents, brokers, architects, consultants, engineers, accountants, lawyers, or one of the many professional businesses there are, having an Orange County, CA Errors & Omissions insurance policy, also known as Professional Liability Insurance Coverage in Orange County, CA, is an integral part of protecting your business. Having an Orange County Errors and Omissions Insurance policy can protect your California start up company and individuals against claims made by clients for alleged inadequate work or negligent actions. An Errors and Omissions Insurance policy may cover both court costs and any settlements up to the amount specified on the insurance contract. As any business owner will tell you in this current business climate in which we operate, accusations of negligence or the failure to perform your professional services are things that any professional services’ business can be sued for, even if it is just an allegation. Even if those accusations are discovered to be totally baseless, imagine what the legal costs will be in just defending a baseless accusation. An Orange County, CA E&O Liability Policy is designed to help pay for defense costs and the damage awards associated with this type of liability claim, which, as you know, can run into several thousands of dollars. Every company that deals with providing a service for a fee has an E & O exposure. Please consider what the consequences will be if the service you provide is not performed correctly and/or on the agreed time frame and it ends up costing your client a monetary loss or, in some way, harms their company’s reputation. Let’s look at this realistically; everyone at some time will make a mistake. This happens to even the best of employees, and even if you feel your company has every safeguard imaginable in place, the one thing you can count on is a mistake is bound to happen at some point. There are several other companies that should consider acquiring an Orange County, CA E & O policy including web design/hosting company, wedding/party planners, advertising companies, and media companies, to name just a few. 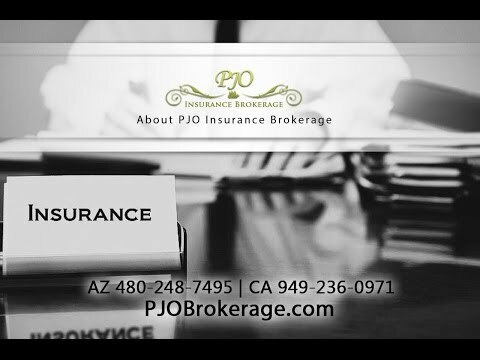 If you would like to explore how having an E & O Liability policy can help your Orange County, CA company, please contact the brokers at PJO Insurance Brokerage in California.